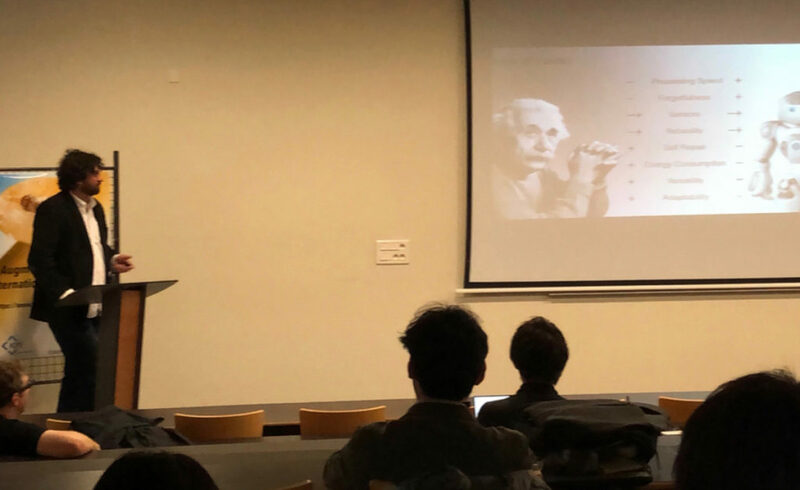 This year, the 10th Augmented Human International Conference took place in Reims (Champagne-Ardenne) in France on March 11 and 12. This small but highly innovative conference focuses on digital technologies that can cognitively and physically enhance human ability. Traditionally it has a strong participation from Japan and Europe. A select set of international researchers discusses new ideas, concepts, research findings and implication of technologies that explore the relationship humans have with technologies. exoskeletons and super human Technologies. Marc Ernst during his Keynote Talk titled “Natural vs. Artificial Intelligence” at Augmented Human 2019. Systems based on artificial intelligence are becoming more and more common in our daily lives. Even when they still fall short when compared with human performance, they are getting better, more robust and more flexible, and the general aim is to outperform humans. Thereby, the focus is usually not on “faster, higher, farther.” Rather, the primary goal is often to make fewer mistakes than humans. Thus, from the point of view of a psychologist, a comparison between the natural and artificial cognitive system is of interest in order to see when, how, and why humans make mistakes in perception, decision making, and action that might be avoided by systems based on artificial intelligence. Typically, illusions are considered as a form of errors of the perceptual system. The concept of illusions as unintuitive forms of error can be extended to decision making and action. In this talk I will review some of our recent studies on human perception, decision making, and action and I will try to show that many of the multisensory behaviors that seem erroneous (i.e. illusions) at first glance, can actually be considered instances of optimal behavior and are thus unavoidable by both natural and artificial cognitive systems. As humans are very adaptable and they often rapidly learn from their errors, the concept of optimal behavior is tightly linked to learning and plasticity. Investigating and understanding the limits of learning and plasticity in human behavior can therefore open an interesting window onto what may become limits also for artificial cognitive systems. 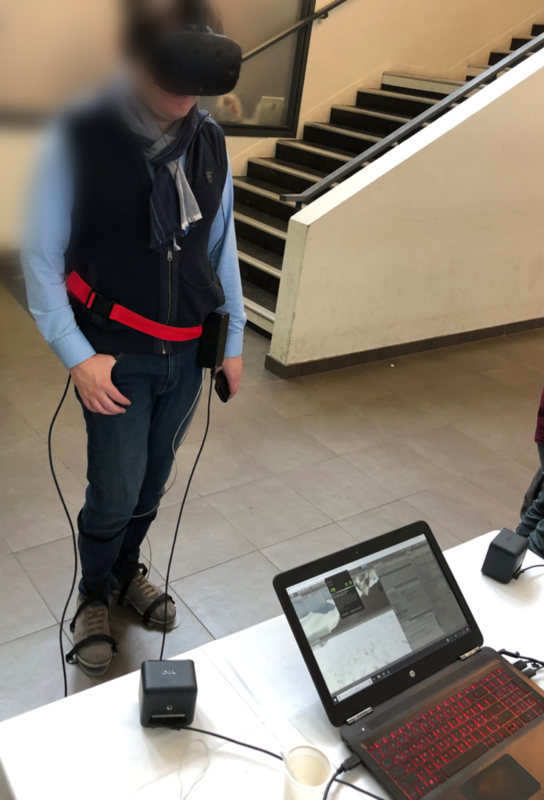 Demonstrator of wearable and ubiquitous computing technologies were shown and participants could try some of the systems. Assistive technologies, technologies that focus on enhancing well-being, as well as aspects of safety, ethics, trust and privacy were discussed. Albrecht Schmidt is Professor for Human-Centered Ubiquitous Media at the Ludwig-Maximilians-Universität München. His central research interests are novel user interfaces and innovative applications enabled by ubiquitous computing.